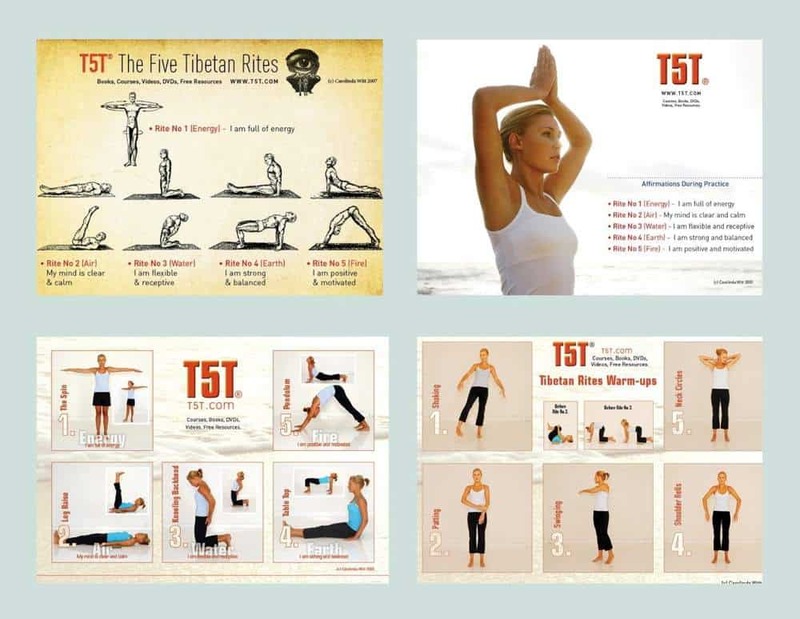 To supercharge your practice - try using these T5T affirmations when you physically practice the The Five Tibetan Rites. They really work. 2. Tabletop (Rite 4) focuses on stability, foundation and balance - giving you a solid base from which to form new ideas. If you have any doubts, please contact me directly - thank you! Read "The Five Tibetan Rites and The Five Elements"
This short video demonstrates the first two movements of The Five Tibetan Rites as performed by four of our Registered T5T Instructors. 123456This product was added to our catalog on Sunday 09 October, 2011.